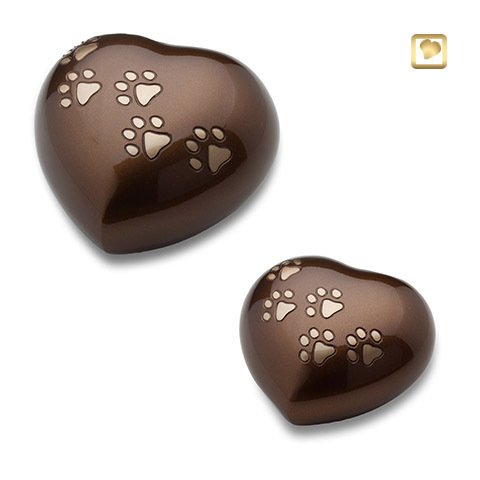 These heart urns are handmade from high-quality metals and come in different sizes and colour combinations. All of these urns have a flat, felt-padded screw closure at their base which makes them ideal for keeping them at home. The colour shown in the photo above is Gold.